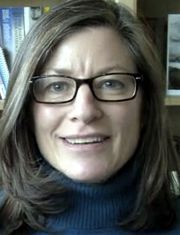 These days, her pet topics are election design, usable secruity, and researching social interactions mediated by technology. Damon is Founder of Valtivity, an Agile coaching and training company specializing in helping companies discover and implement their ideal way of working. 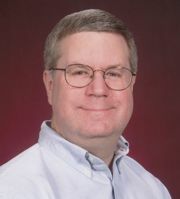 He is author of the web book Do It Yourself Agile and a frequent speaker at Agile and Lean conferences. He is co-founder and past Ceo of AccuRev. Joe is Desktop Engineering Manager at Harvard Vanguard Medical Associates, an Affiliate of Atrius Health. He gets to deal with the deployment of software into the heavily regulated Healthcare world on a daily basis. 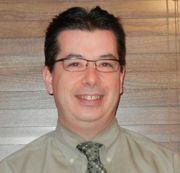 He is looking forward to providing valuable insights to improve the deployment experience. 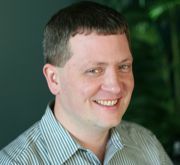 Russ is Strategic Marketing Manager at Red Hat, focusing on requirements for next generation Open Source products. He studies working with the Open Source community, and helps Red Hat employees and partners understand the unique characteristics, rules, and dynamics of Open Source. Learn things that you can't easily pick up on your own. Listen to people who have real world experience and are willing to share it with you. Meet with your peers. If you are old school, you probably consider face to face a great way to learn. If you are new school, give it a try! Your registration includes a full day of presentations and workshops. GBC/ACM is implementing a program to meet the needs of Journeyman Programmers. 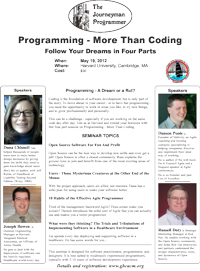 This seminar is part of a series that deal with real world issues encountered by mid-career software developers. The seminar was a success. All of the speakers had good questions and interaction with the audience. See each topic for a downloadable copy of the slides. Programming - A Dream or a Rut? Coding is the foundation of software development, but is only part of the story. To move ahead in your career - or to have fun programming - you need the opportunity to work in areas you like, to try new things, and to grow professionally and personally. Open Source can be the best way to develop new skills and even get a job! Open Source is often a closed community. Russ explains the ground rules to join and benefit from one of the most exciting areas of technology. With the proper approach, users are allies, not enemies. Dana has a solid plan for using users to make your software better. Tired of the management buzzword Agile? Does scrum make you scream? Damon introduces the solid core of Agile that you can actually use and makes you a better programmer. Want a job? Get experience! Want experience? Get a job! How do you get a job in software development? If you have a job, how do you get a better one? How do you learn a new field? How do you get a chance to do new things that aren't part of your current job? And how do you get recognition for your skills and abilities? We let you in on a secret: How to do anything and everything in software development. How to work with some of the brightest people on the planet. How to prove yourself, get recognized, and have a solid programming portfolio you can show anyone. In fact, how to get the attention of hiring managers. Where does the fun come in? If you are here, we assume you enjoy programming! We will show you how to get involved with the most exciting development projects around, not just the projects you are assigned to. How to do the things that interest you, not just the tasks you are assigned. Interested? Its not for everyone. You have to be self motivated. You have to prove yourself. While you have to have skills, we will show you how to develop them. What Open Source Software is and why it is driving a revolution in computing. How you can benefit from participating in Open Source Software - develop skills, have fun, show what you can do. How to get started. What to do, what to avoid. Learn the culture of Open Source. How to play in this challenging and stimulating sandbox. How to join an Open Source project. What is expected from you, what to expect from others. The technology of Open Source. Yes, you have access to all the source. Now what? Here there be dragons. Dealing with the personalities and behaviors in the Open Source community. They rejected my code. And said unkind things about me! Yup, happens. That's why you need to attend this session. How to parlay Open Source participation into your dream job. There is a saying that Open Source is a full contact sport, dominated by "Alpha Geeks" with big egos and limited social skills. We will show you how to participate with minimum damage and maximum results. With these lessons from the inside, you won't be an outsider! Users are mysterious beings. You never know what they are going to do. But you just know they are going to mess up and have trouble with your software... And blame you! It doesn't have to be like this. Users are another part of the problem space - something to be studied, analyzed, and modeled. Something you can plan for rather than fear. Someone you can help, rather than a malevolent force just waiting to zap you. Yes, users can be your friends! In this session you learn how to factor in users as part of your overall design process. How to plan for them. How to work with them - think of it as "beta testing your wetware". Agile Development - isn't that the latest management buzzword to be inflicted on teams of hapless and helpless programmers? No, of course not! OK, Agile Development has become a bit of a buzzword. And implementing scrum because it was in an airline magazine your VP read is a bad idea. And, yes, Agile is usually team and process focused. But at the core of Agile, when you strip away the buzzwords and consultant frameworks, is a solid kernel of things that will make your life better as an individual programmer. We call these the Habits of an Agile Programmer, but they are techniques that can be applied anywhere..
No BS. No 12 step programs. No requirements to adopt a complete methodology. Just a set of solid techniques that will make you a better software developer. Writing applications is one thing. Deploying and supporting them in the healthcare world is another. That's what I do every day. Let me tell you what you are doing to me. What the impact is - on me, on your customers, and on the people in the Dr.'s office. And I've got a few observations on how you can make life better for everyone. This presentation addresses the trials and tribulations of implementing software applications to Windows based hardware systems. I will review in detail small scale to enterprise-scale deployments and the challenges faced by each type. The discussion will center around how software design plays a key role in the success or failure of an implementation and how it ultimately affects the reputation of the companies that sell the product. The bulk of the presentation will be centered around the deployment of software in the heavily regulated Healthcare world, but I will also include items relative to my other experiences outside of Healthcare. Many of the challenges are the same. Topic 1: What were they thinking? Examples and discussion of software designs that wreak havoc on deployment teams. Topic 2: Why did they sell it this way? Examples and discussion of false promises from Salespeople that Software Developers have to live with. Suggestions of what Developers can do to make their product look good post-sale and keep customers from going elsewhere.